The Foundation’s trustees held their AGM here in Cardiff earlier this month, and on the agenda were the Scholar-Activist Project and International Workshop Awards. This year we received 116 applications for S-APAs and 45 for IWAs, and the high standard made decision making no mean feat. The trustees scored the proposals and created shortlists that were subject to much debate; we’re delighted to announce that we’ll be making six S-APAs and four IWAs this year (the grants will amount to almost GB£100,000.00). Before announcing the recipients, we’d like to thank, again, all the applicants; it was a pleasure to read the applications and see the diversity and vitality of contemporary critical geography. Scholar-Activist Project Awards are intended to support collaborations between academics, non-academics and activists (from NGOs, think tanks, social movements, or community grassroots organisations, among other places), while International Workshop Awards are intended to support radical geographers holding events including conferences, workshops, seminar series, summer schools and action research meetings. The Foundation seeks to promote significant programmes of action-research, participation and engagement, cooperation and co-enquiry, and more publicly-focused forms of geographical investigation. We encourage the exchange of ideas across and beyond the borders of the academy, and the building of meaningful relationships and productive partnerships. The Antipode Foundation was incorporated as a private company limited by guarantee, and registered as a charity, in 2011. It has a governing body of six trustees (all former Antipode editors) and a secretary, Andy Kent, to whom the day-to-day management of its affairs is delegated. or [ii] used to arrange and fund summer schools and other meetings, public lectures, and the translation of academic publications. 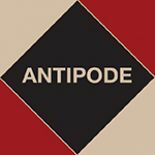 Together with Antipode itself, these initiatives promote and advance, for public benefit, social scientific research, education and scholarship in the field of radical and critical geography by enabling the pursuit and dissemination of valuable new knowledge. This entry was posted on 31 May 2016 by Antipode Editorial Office in News.